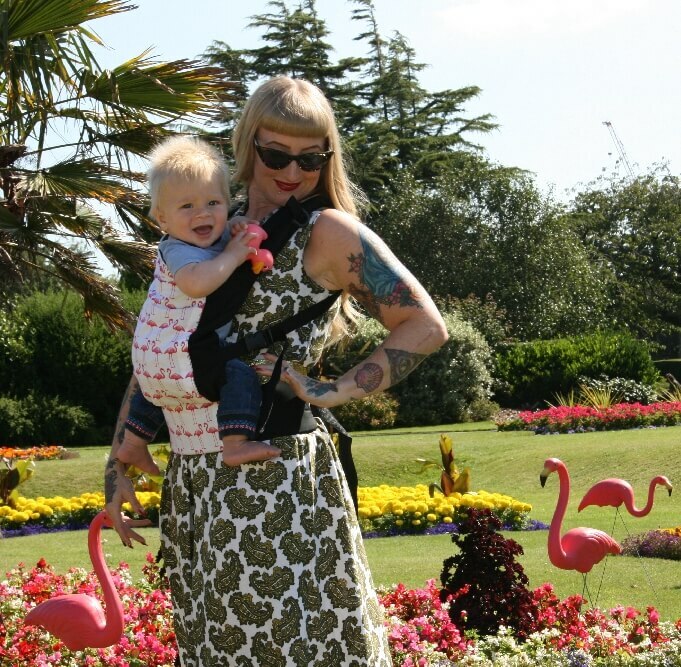 Storchenwiege BabyCarrier is the ideal choice if you as parent want to give yourself and your baby all the comforts of a baby sling and the practical convenience of a baby carrier. The Storchenwiege BabyCarrier completely complies with this. Storchenwiege is a brand that designs both baby slings as baby carriers in the shape of a ring sling. 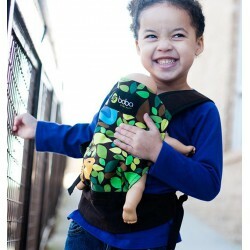 To design the BabyCarrier the original baby sling cloth was used, however in combination with the practical convenience of the buckle fasteners of a baby carrier. The version in a ring sling can be used to carry your baby on the stomach, back or hip. The Storchenwiege BabyCarrier can best be descripted as a carrying system similar to the traditional Mei Tai but in a more modern design. You can already use the baby carrier for your new-born baby who will feel very comfortable, safe and secure in it. 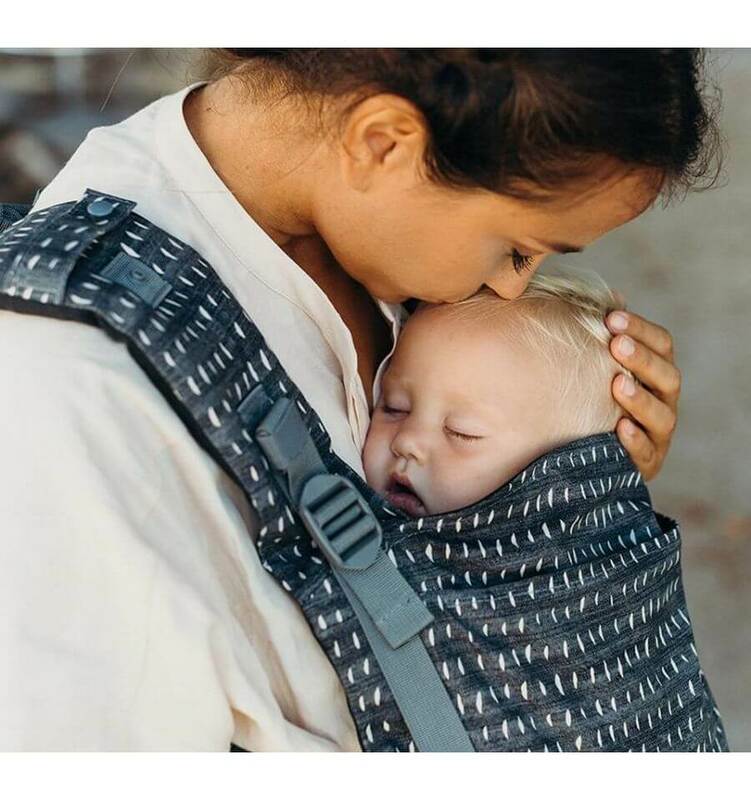 A big advantage of the Storchenwiege BabyCarrier is the woven baby sling cloth with diagonal stretch, so the fabric will shape around the baby’s body in the most perfect manner. Of course it is wonderful to carry your baby as near as possible on your stomach and the baby will experience all comfort and you will have more freedom to move. The Storchenwiege BabyCarrier can both be used indoor as outdoor and offers much freedom and convenience. In the beginning the baby carrier can be used on the stomach and when your baby is a bit older you can turn it into a backpack carrier. Did you know that your baby will enjoy and experience much more when carried in a Storchenwiege BabyCarrier then in its own little cot or lying in the play pen? Plus, the baby can have a lovely sleep in it even when you are active. The Storchenwiege BabyCarrier offers plenty other advantages. It also looks like a lovely baby carrier. In our offer you can choose from numerous colours or for an original print with many colours. Check out all the images in a different colour or print and order your favourite online with us. De Storchenwiege BabyCarrier is een comfortabele draagzak die gemaakt is van de originele Storchenwiege draagdoekenstof. Het combineert de voordelen van een traditionele Mei Tai draagdoek en een moderne draagzak met gesp.